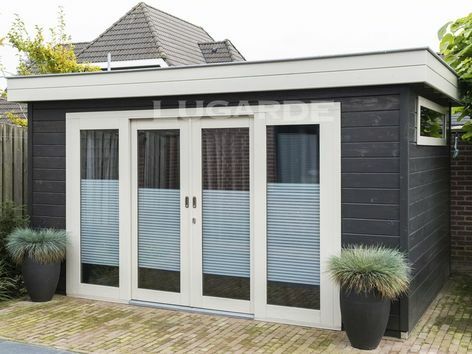 The Lugarde Prima Eva is a flat roof summerhouse under 2.5m tall with a large 4 panel sliding door making it perfectly suited as a garden office, art studio or craft workshop. 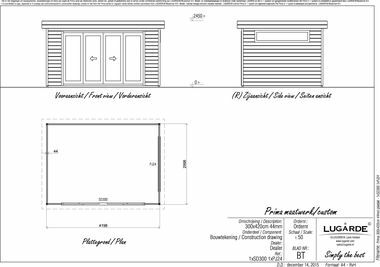 The summerhouse measures 4.2m x 3m in 44 mm log thickness. The standard package includes 1 x SD300 4 panel sliding door and 1 x PJ24 window.